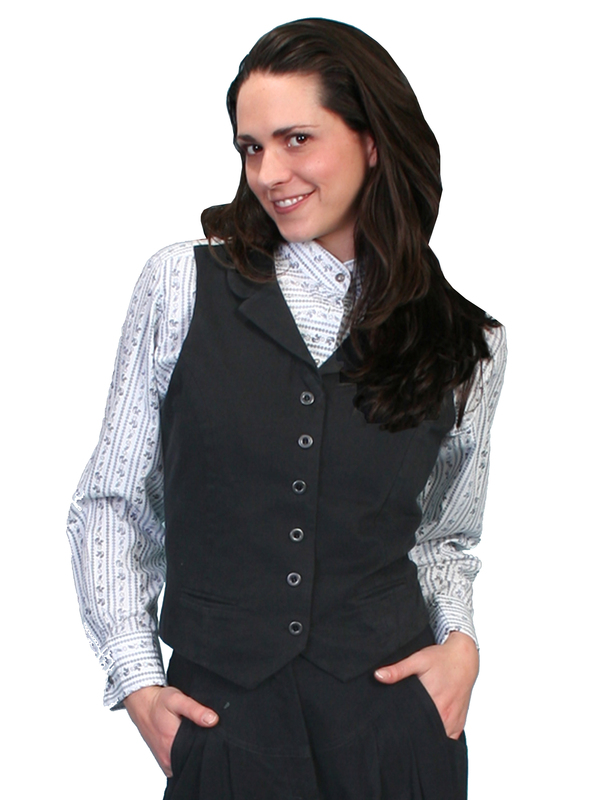 Classic victorian style vest features the same brushed twill fabric as our riding skirts and gibson girl skirt. It features notched lapels, two front welt pockets, and authentic pewter buttons. It is fully lined and has an adjustable back strap.